& from Republic of Ireland / Éire including Clogh Mills. Sleeve and disc lettering are crisply printed - Fakes are fuzzy. The font on the spine for "Pennyroyal Tea" and Geffen match - Fakes have different fonts. Has the word 'HIRING' on outer rim of disc spelt correctly - spelt "HIRINNG" on fakes. Matrix has 'SONOPRESS' code next to catalogue number - Fakes have catalogue number surrounded by lots of "++++" symbols. Don't get ripped off - Buy with confidence! 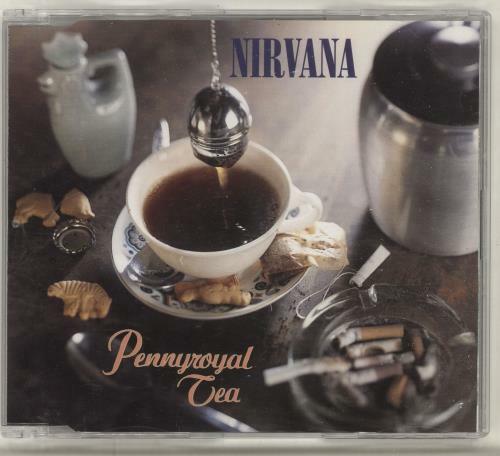 Product Information Nirvana (US) Pennyroyal Tea - Withdrawn Germany CD single (CD5 / 5").